We are sign designers, builders, installers. Our experienced team of sign designers can assist you every step of the way. We combine technological expertise with the values of craftsmanship. 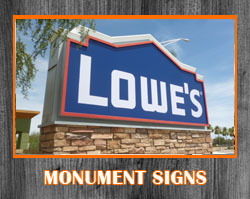 If you are searching for “commercial signs“, “outdoor business signs“, “commercial signs companies near me“, “custom commercial signs” or “commercial sign manufacturers” in Phoenix, Scottsdale, Mesa, Gilbert, Chandler, Tempe or anywhere else in the Phoenix Valley of Arizona, Arizona Commercial Signs can help! We are a local Commercial Sign Company in Phoenix, Arizona manufacturing Commercial Signs, Custom Signs, Exterior/Outdoor Business Signs, Interior/Office Signs, Neon, LED and Banner signs. We also design, manufacture and install custom signs. 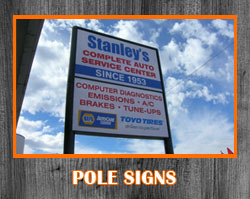 In addition we offer sign installation & maintenance. Get a free commercial sign estimate by giving Arizona Commercial Signs a call today at 480-921-9900. Common search phrases used to find our commercial sign services include: Arizona Commercial Signs, sign companies in Phoenix, Arizona signs, Arizona sign company, sign company near me, business signage, commercial signs Phoenix, commercial signs, business signs and sign companies in Phoenix AZ. Scripted fonts and logos designed in iron and lighted block lettering. Images and Logos. 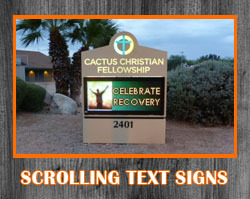 We also have LED-Lighted Message Signs with scrolling text feature. Double or single sided signs installed at many different heights. Individually formed metal letters with interior illumination. 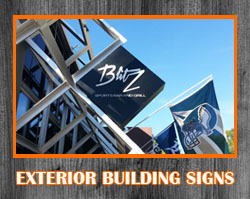 Restaurant and Business Signs mounted to stucco or stone facade exterior walls. 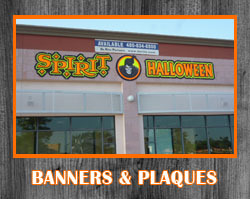 Outdoor retail signs that are mounted to a pole or other freestanding structure. Provide plenty of visibility and are very energy efficient. 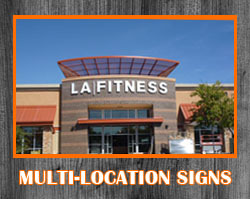 We can fabricate multi-location signage your business. Also known as Freeway signs, highway signs, road side signs or small billboards. 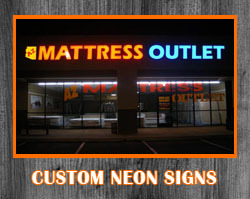 Arizona Commercial Signs, is your one stop shop for custom sign design including custom neon signs, LED lighting, LED signs, banners, building signs, pole signs, and commercial property signs throughout Phoenix, Gilbert, Mesa, Scottsdale, Chandler and more in the Valley of the Sun! Our highly experienced and skilled team of sign designers, fabricators, and installers will assist you with every step of the way with our signature customer service. How much does sign installation cost in Arizona? According to ImproveNet, the average cost to install a commercial sign is about $2,372. However, really tall pylon signs can cost as much as $200,000. 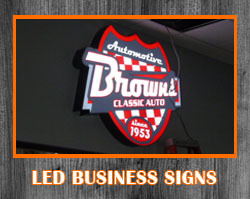 Sign installation cost all depends on the type of sign, height, materials, lights, etc. Get a quote to find out the specific sign installation cost for your project. 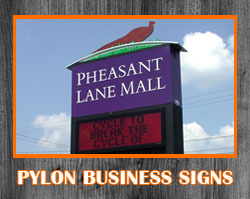 Learn more about sign installation costs here. We can design nearly any type of commercial sign you can think of. From interior office signs to exterior building signage, we can handle it all! We can use ideas you have already or custom make your business signage from scratch. 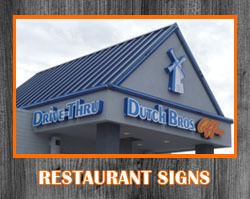 We can install or re-install your existing sign if it hasn’t been installed yet or wasn’t installed correctly. We can also design, fabricate and install your very own custom made sign. No signage installation project is too big or too small. 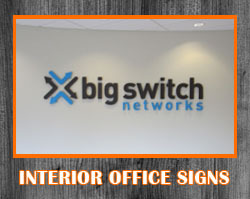 Corporate logos with distinct type or font styles are routinely used for custom interior office signs. Custom signage reinforces your brand identity and presence. Choose a clear or brushed acrylic, or pick from many varieties of impressive metals, then finish your sign in a unique style and color to reflect your corporate culture and direction. Wall signs can be enhanced and illuminated with low voltage LED lighting for even greater effect. 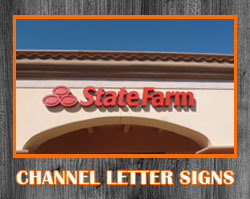 Reverse channel letter signs have a very rich and eye catching look. These illuminated letters are fabricated from quality aluminum. Light is cast onto the wall behind the sign giving the letters an enticing halo effect. They have a clear acrylic cover on the back, which keeps birds and other pests from nesting in the sign. They can be made in any color, and constructed from steel or aluminum. An acrylic sign face is placed over the metal letters to enclose the sign. Message Signs with Scrolling Text do not require a computer in order to function, yet are completely programmable, allowing you to change and update the message that is displayed as often as you like! This keeps your specials and offers front and center at your business. Whether desired for a single event, conference or meeting, or as a repeat-use eye-catching sales piece, we design beautiful custom banners for your business as well as plaques to celebrate the milestones of your employees and customers! No Business Signage is too Big or too Small! At Arizona Commercial Signs, we take every job as a chance to provide top notch sign service to our Phoenix Valley of the Sun clients by using the highest quality materials, best equipment during fabrication and the most experienced team of technicians to install, maintain, and repair your signs in a timely and professional manner. We produce the best signage available by only using the highest quality materials and advanced fabrication technologies. That along with the training, expertise, imaginative design, skill, and dedication you can rest assured that the experts are right here in Phoenix, and ready to handle all your needs. Client satisfaction is key in any industry, that being said we take your satisfaction in every step of the services serious, and never rest until you are satisfied.